Anyway, all that swing feel happened after the broken and intense first chorus. I praised this first chorus to Adler, saying it was one of the best things he’d played that day. Then, after I learned it was the Bandwagon, I said that hard-hitting first chorus was so good because Jason, Tarus and Nasheet are so connected to hip-hop and the street. There was some kind of “bump” in there that was really authentic. … All Rise , Moran’s tribute to Fats Waller, was an attempt to gain street credibility for both of them by pandering to urban audiences. In my opinion, this is a provincial reading of the situation. Jason is one of many jazz musicians currently trying to bridge instrumental improvisation with the greater continuum of black music, art, and dance. I have a lot of respect for this attitude. A European interviewer asked me about Robert Glasper recently and I said it was great: We have the John Zorn experimental side of this music totally covered, so we need more of the black dance floor back. My feeling about All Rise and many other Don Was projects at Blue Note is not that it this is pandering, but that it is provocative. To be fair, I understand why Davis doesn’t like this stuff, because I can also find certain things from that world too close to smooth jazz. However, Jason Moran truly embraces the avant-garde, so whatever he’s up to will always have enough grit for my own sensibility. At any rate, it is a mistake to view the “urban” community as a step down for a jazz artist. That community has always been essential for jazz. Indeed, one of the reasons jazz is in trouble is simply because it has gone so far from the source. If I were a young black cat I’d probably be working on bridging the gap as well. Stepping back from the frame a little bit, I have enough self-awareness to know I am not an informed commentator here. Perhaps something that scans as too smooth for me has qualities I can’t appreciate. I am very impressed by Nicholas Payton’s close listen to the new D’Angelo record, which taught me a lot about recent jazz and soul history. Most of this topic I know nothing about. It’s not just the recent stuff: I’ve never heard the Cannonball Adderley record The Black Messiah either. In my recent researches about Irving Fine, I ended up running down most of the significant mid-century neo-classic piano music by American composers by the likes of Harold Shapero, Ingolf Dahl, Arthur Berger, Lukas Foss, Alexi Haieff, John Lessard, and Louise Talma. A surprise win was the Variations in G by Leo Smit, a substantial work of real merit. A rare Claudia Hoca LP has a great performance, Gregory Allen plays it well on YouTube. I found a used copy of the score of Variations in G on Amazon for a couple of bucks, so I ordered it. 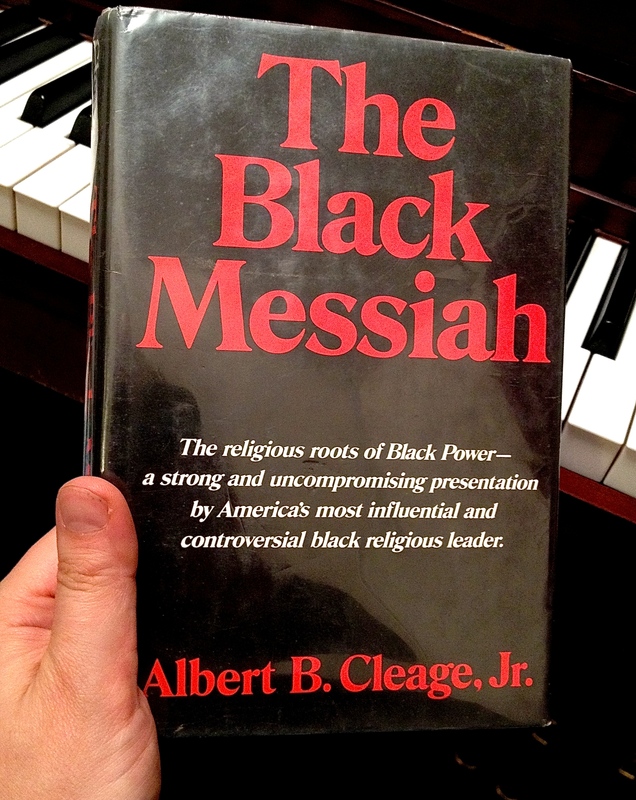 By mistake, the seller sent me Albert B. Cleage Jr.’s The Black Messiah instead, which I received just before D’Angelo dropped his own Messiah. Was God telling me something? As in, how about balancing all this modernist piano with some soulful sounds? I’ve also placed another Amazon order: Bilal, Van Hunt, Erykah. Not sure if I’m going tune in that hard, but maybe I will. At the very least, my wife will like having those albums in rotation after recently putting up with too many things like Lessard’s annoying Toccata in Four Movements.